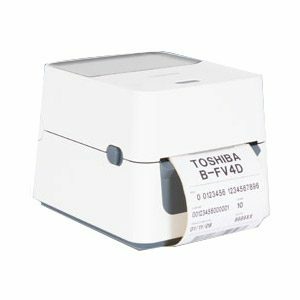 The TOSHIBA B-SA4 Barcode Label Printer really is the perfect ‘Total Solution’ for any printing application. This is due to its high-quality output, industrial performance, versatile design and advanced functionality including the backing of a globally-recognized quality brand. 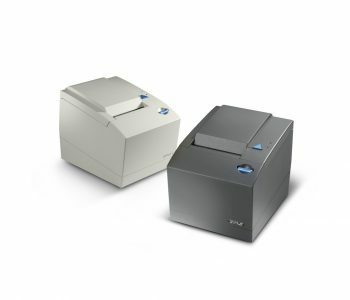 The B-SA4TP comes with a stylish plastic cabinet as well as a sturdy clam-shell design for easy media loading. 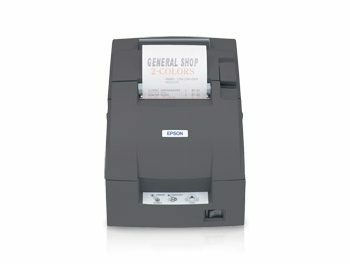 In fact, its ergonomic-design makes the B-SA4 the printer of choice for any desktop or light industrial environment. In addition, its superior quality output and exceptional performance ensure that it fits perfectly with robust industrial environments. 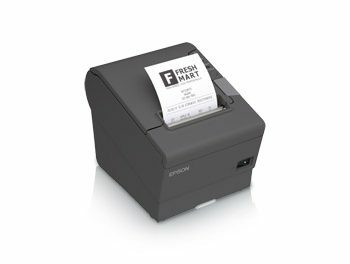 As a result, this versatile barcode label printer provides all the functionality and robustness of an industrial printer with the compact footprint and ease of use of a desktop printer. Its large ribbon mechanism is capable of accommodating up to a 3″ (75mm) OD ribbon, which is an industry standard for Wax ribbon formulations. It also comes with a wide variety of communication interfaces for ultimate networking capabilities. 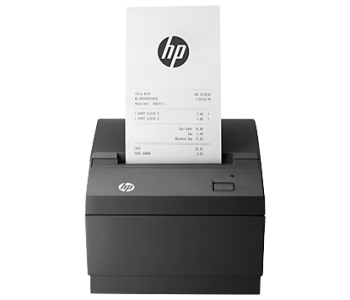 This enables you to manage your whole network of printers from a central source. 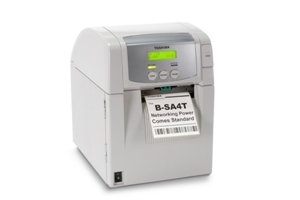 The B-SA4 comes with an entire Central Network Management Suite that allows you to manage all the SNMP printers in your network. 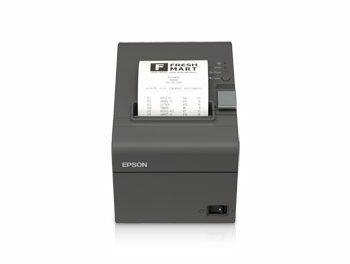 High print quality: These machines are unique in the market as they are fitted with a 200 dpi print head as standard plus the flexibility to easily upgrade to 300 dpi, these machine. Available Options include: A Serial Interface Board, a Wireless LAN Module, an Expansion I/O Board, and a Real Time clock. 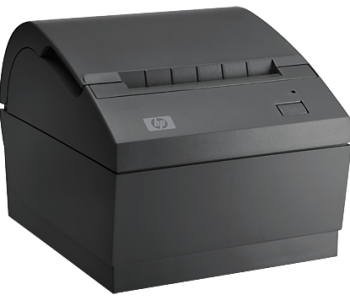 Complete your retail solution with the HP Value Serial / USB Receipt Printer.